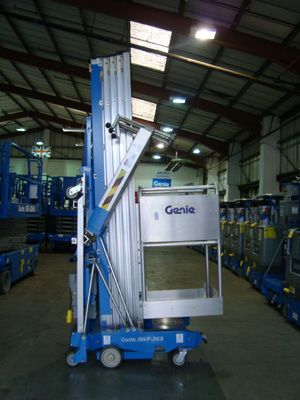 Used 2011 Genie AWP30s with DC battery power. 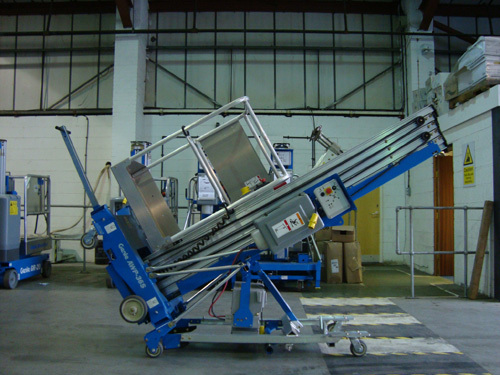 This machine has a built in tilt back frame to allow the machine to roll through a standard door. Tie down points, forklift sockets and overhead crane attachment points make this AWP easy to transport. Supplied serviced with new 6 month LOLER.